Popcorn Time, the movie streaming service that is seen as the Netflix of the torrent world, has been dealt a major blow this after a UK court judge told major ISPs that they must block access to sites offering the software for download. The Motion Picture Association of America (MPAA) turned up the heat on Popcorn Time under the Copyright, Designs and Patents Act, and a judge has ruled that the UK’s largest Internet Service Providers must cut the wires feeding sites that offer Popcorn Time for download. It’s a controversial decision, since the sites themselves don’t actually offer direct links to the movies that the MPAA is complaining about. But Judge Colin Birss is happy enough to pass the ban with a clear conscience since Popcorn Time, to his mind, doesn’t serve a legitimate purpose, and is solely available to facilitate piracy. If you’ve never heard of Popcorn Time, it’s a Netflix-like software that spans multiple platforms, offering users instant access to an almost unlimited number of movies. The films themselves aren’t hosted on a server, but rather streamed between peers through the BitTorrent protocol, and so when you’ve downloaded / streamed a movie, you become part of the swarm that, in turn, seeds it to others. The decision to block sites offering up the software doesn’t seem as though it will make much difference. From what we can fathom, Popcorn Time will still continue to function as normal, and as we’ve seen before, file-sharers will just find alternative ways to hunt down the software. Along with its desktop services spanning Windows, OS X and Linux, Popcorn Time has also enjoyed on-and-off support for mobile devices. There’s an Android app currently floating about for those looking to get their movie fix on-the-go, and those behind the software have also been working diligently on an iOS version. If you are in the UK and wondering if Popcorn Time is closing down, the answer is a simple no. The ruling to block download sources is exactly that – it will only stop some of those seeking the software from finding it – and let’s be honest, the Internet is the kind of place where, if you want something enough and are willing to spend more than five minutes looking, you’re probably going to find it. Popcorn Time is used to being the center of attention for the right and wrong reasons, and will likely be undeterred by this ruling. The whack-a-mole approach undertaken by Hollywood only seems to enrich and evolve the trade of illicit file swapping over the Internet, and in this case, the real winners are perhaps the VPN providers who’ll grab a few more customers worried that their Popcorn Time use could land them in court, too. 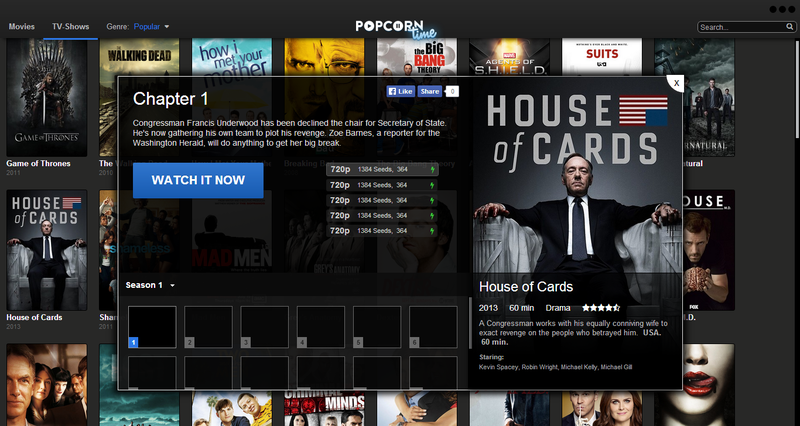 Are you a user of Popcorn Time? If you have anything to add, drop us a comment below.